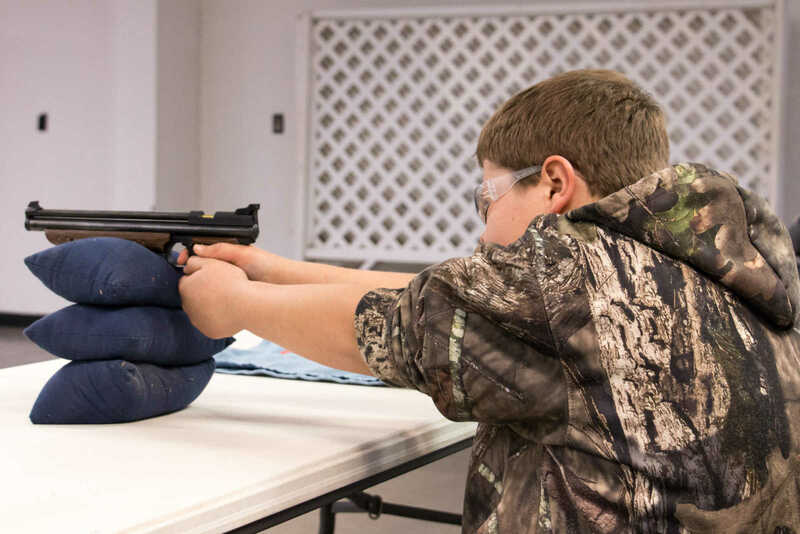 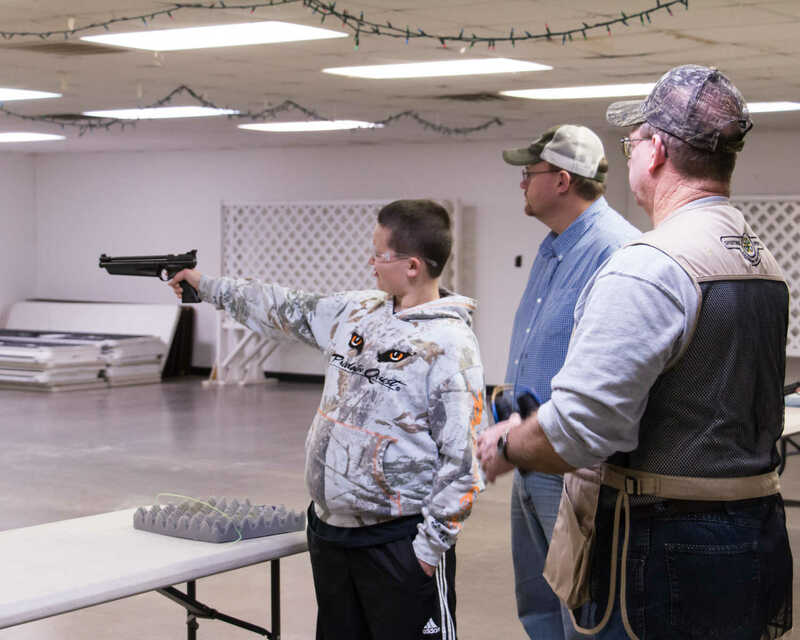 Joseph Young sights in his air pistol at 4-H air pistol practice Tuesday night at the Vernon County Fairgrounds. 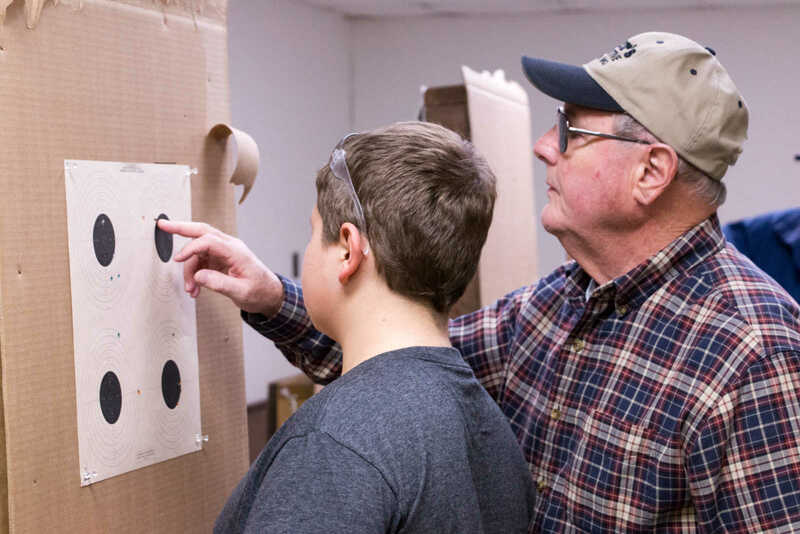 First year shooter Ian Palmer, right, receives instruction from 4-H shooting sports coach Dusty Stong. 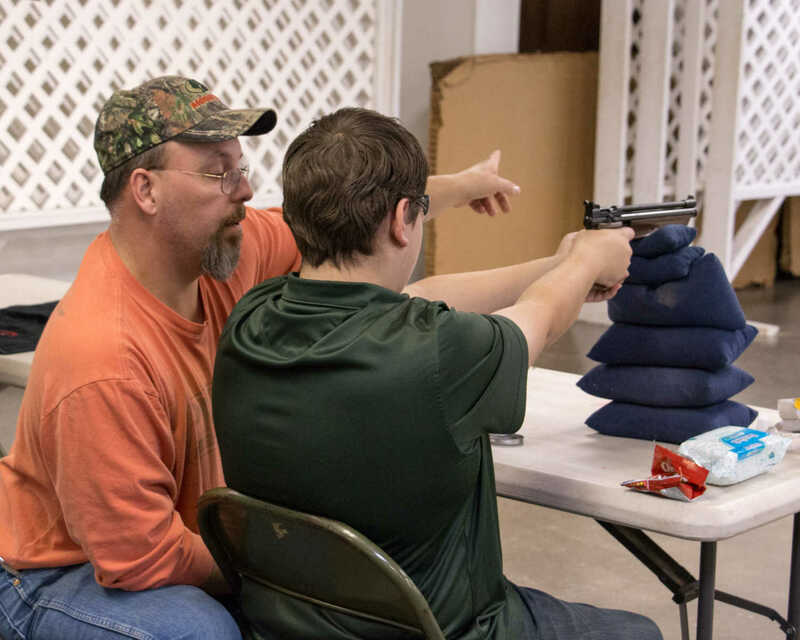 Joseph Young, left, discusses his target with Steve Pyle, right. 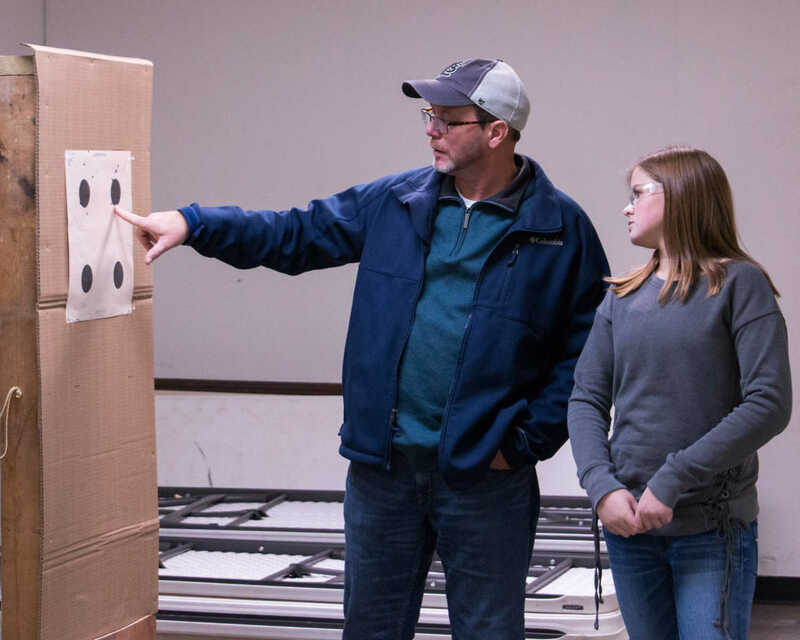 4-H air pistol shooter Emily Volkman, right, discusses her target with her dad, Kenny Volkman, left. 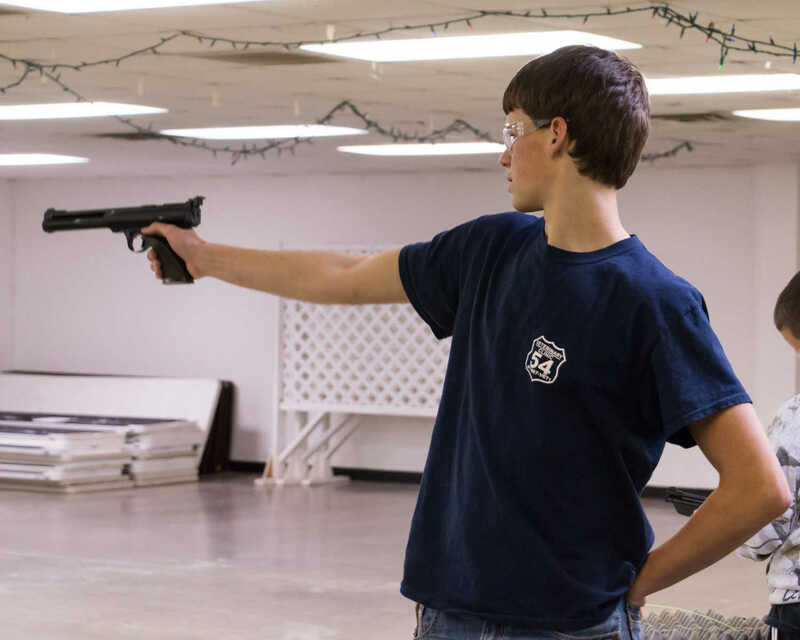 Looking over Emily Volkman's shoulder, the target - the black circles to the left - apear very small.